Throughout her life Maari has consistently pursued a deeper understanding of her own intuitive gifts, the energetic body, her divine source, the art of healing and a holistic approach to living a joy filled and thriving life. Many have observed that "Maari loves everyone". It took some time for her to claim this open heart as a super power, but she has become more and more aware that her ability to connect authentically and deeply with others is a key part of what makes her a natural community builder. Today she brings her passion for loving and supporting others into full expression with the creation of Inner Alchemy, Treasures & Transformation. As a licensed Spiritual Practitioner (RScP) and Transformational Spiritual Coach, Maari works with people who are experiencing major transitions either by choice or by chance. As your spiritual coach, Maari offers you a safe and sacred space for exploring how the obstacles showing up in your life can offer clues for what it is that your heart really wants. You will be fully supported as you make your way courageously through the tunnel of transformation and emerge as your authentic self. This emergence will allow you to co-create a life of joy, love, truth and personal power. "Live life as if everything is rigged in your favor." 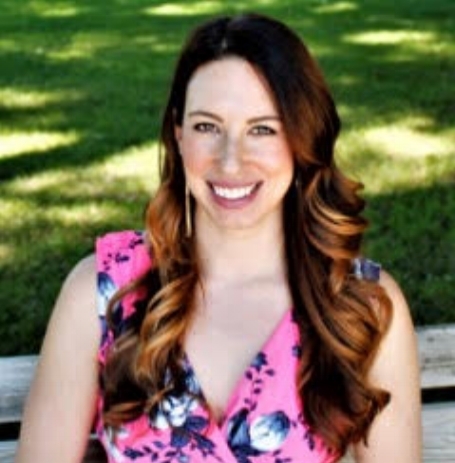 Amanda Littleton (Giralmo) is a certified holistic health coach, master reiki practitioner and founder of Wellthie Life Holistic Health Coaching. Amanda’s mission is to help smart, busy professionals see how amazing life can be when they feel fantastic. When working with her clients, health is not the end goal, but a springboard to propel them to connect to their higher self and live a life with purpose and fulfillment. Amanda currently provides one-on-one health and lifestyle coaching, with a focus and passion for anti-inflammatory eating as the route to disease prevention. She also provides pantry reviews, health food store tours and reiki sessions. For more information, or to book an appointment please email connect@inneralchemytt.com. Antonia has followed her shamanic training with teachers and mentors in the Toltec, Peruvian and Colombian traditions. She graduated from the Four Winds Society with A.Villolldo, apprenticed with Toltec shamans, and others. In her work with clients, Antonia seeks to reach the authentic nature of each individual, using her skills and 30 years of experience in service to the transformation of each client. She leads sacred journeys to Teotihuacan, Mexico, is the founder of The Spiral Medicine Wheel, and teaches many workshops and groups in the Seattle area and away from home. 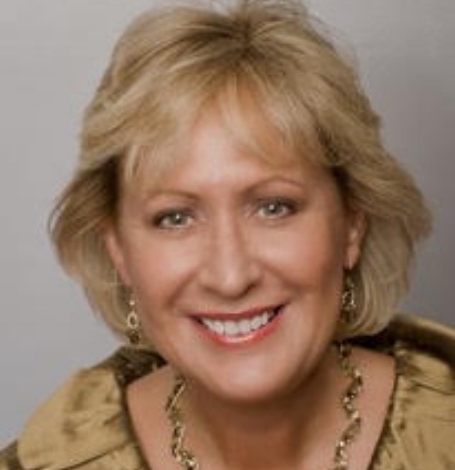 Cheryl Cullen is a certified Emotion Code Practitioner. Emotion code works to energetically release emotional blocks from this life and past lives which keep us from changing our behavior and moving forward in life. Results are accelerated for issues that would take years to work through in talk therapy and can be released in a few weeks or months. "The only advice I have is this: to go into yourself and to examine the depths from which your life springs." Christian has been helping people discern and become their best selves for more than ten years. Trained and experienced in a number of modalities and techniques, he is a Certified Master Hypnotist, and has additional training in Five Phase Advanced Transformational Hypnosis, hypnosis with transgender clients, tinnitus, past life regression, and pain management, and is a certified teacher of 7th Path Self-Hypnosis. Certified by the National Guild of Hypnotists, the American Hypnosis Association, the American School of Clinical Hypnosis, and the Banyan Hypnosis Center, a member of the International Association of Hypnosis Professionals, and a registered hypnotherapist with the State of Washington. Crystal Cannon Flores is a Certified End of Life (EOL) Doula working with families to create a dignified and meaningful experience for loved ones at end of life by bridging the gap between medical care and holistic comfort. Crystal believes in bringing the human element back to the bedside to compliment Hospice care. She facilitates an environment where loved ones can maintain their respective roles as spouses, children, family members and friends. This normalizes the process, restores dignity and helps alleviate fear for everyone involved. Crystal's three step doula model covers Planning & Legacy, Conducting a Vigil, and Reprocessing Early Grief. Her mission is to empower families by destigmatizing death and opening a dialogue about the transition. She offers workshops, classes and one-on-one sessions surrounding grief processing, death positive, self-vigil planning and more. Crystal is a Certified Health & Wellness Coach, Dual Certified EOL Doula, Hospice Volunteer, Mentor and Educator. She knows death intimately. She found her calling in the midst of her own personal story with the entwined deaths of her parents; Your Ultimate Love Story is a dedication to the way they lived their lives, how those lives ended, and how their love lives on. "Accept what is, let go of what was and have faith in what will be." Deborah is dedicated to the delicate balance of healing the WHOLE person (mind body, spirit). Gentle and loving practices like Heart Centered Hypnosis and Reiki encourage and assist your own mind, body and spirit’s processes of healing, development, self- love and empowerment. As a Spiritual healer and Teacher, Deborah also offers knowledge in Mindful Guided Meditation, Essential Oils, Crystals, Oracle Cards, and Tarot Cards, and may use them in session with client permission. Elle is a born medium and is known for her deep love of Spirit. She is a natural and inspiring teacher for personal growth and the development of one’s intuitive gifts. Her background also includes a career as a Human Resource Executive & Corporate Trainer and she is a Certified Grief Recovery Specialist. She has trained with several master teacher mediums from around the world. Elle offers private readings, mentoring and group mediumship galleries. She also offers public classes on Masterful Mediumship & Psychic Development as well as Healing Retreats for Loss and Grief. Gail Kronberg is a certified and licensed Himalayan Chakra Singing Bowl Sound Healer and Owner of Singing Bowl Soundsations. She attended the Atma Buti Sound & Vibrational School in Boulder, Colorado where she learned the traditional ways of healing with Himalayan singing bowls under Master Teacher Suren Shrestha. Gail is also a Reiki Master/Teacher and offers both Usui Holy Fire and Shamanic Reiki, as well as Usui Ryoho Animal Reiki. In 2018, she went on to complete certification in Spiral of 5ths Tuning Fork Sound Therapy under Arden Wilken at Bastyr University. An intuitive gentle guide into the sacred self, Gail’s offerings include private Sound Massage Healing, Chakra Clearing and Balancing, Tuning Fork Therapy, Reiki Sessions, and group Sound Baths, as well as classes and workshops. In addition to the healing arts, Gail has always had a love for music and holds a Masters of Music in Vocal Performance from Illinois State University. Gary Theo Schultz is the founder of Inward Voyage, Inc. with the mission “to inspire and nurture the human spirit.” As an Empath and Licensed Spiritual Practitioner and noted Meditation Guide, Gary’s holistic approach skillfully integrates mind, body and spirit, working from the inside-out. He collaborates with his clients to create a powerful ‘container’ that brings clarity and makes healing and transformation welcome. Each heart-centered intuitive private and special group sessions, incorporates sacred dialogue, breath-work, affirmative prayer, guided visioning and the utilization of various certified energetic modalities. "Gary works on all levels: the body, mind, emotions and spirit... working in the invisible while touching deeply to the feelings and healing... I felt like I was experiencing the work of a gifted shaman." "From a shamanic perspective, Gary is one who has his foot in both the seen and unseen worlds with the rare ability and sensitivity, to create a safe and sacred space for his clients." Jeri Hudson is a licensed Spiritual Practitioner, RScP and a Ministerial student at the Holmes Institute. She thinks of herself as a Spiritual Sherpa because it is her joy to support you with the challenging load that is carried while making the trek to spiritual awakening. Together with Jeri, you will traverse the highways of your life, gain an understanding of your journey, and map out a path for a new summit with a vista that reveals the beauty of your life. Her years of study at the Holmes Institute have given her a deeper understanding of God, Its profound love for us, Its desire to bestow the keys of the kingdom to us, to give us our Good, and to support every aspect of our lives. Jeri has been a bodyworker for 25 years with an expertise at alleviating pain, restoring function, and rejuvenating a tired body. Although a Reiki Master since 2005, Jeri discovered and uses a new energetic restoration system which continues to amaze and astonish her with profound results. In each modality, Jeri crafts an experience that supports your mind, body, and soul. Kayla is a polarity therapist, yoga teacher and registered nurse specializing in psychiatric nursing. Kayla has always been drawn towards a path of healing. She first discovered the power of the energetic body almost 10 years ago when she began practicing yoga. Since then, she has been inspired to bring this energy into the practice of modern health and wellness. Kayla was introduced to the magic of Polarity during a soul journey retreat in Mexico. Immediately, she felt a strong connection to the practice. Following her intuition and connection with her ancestors she chose to return to Mexico where she became trained as a Polarity Therapist. Kayla is also a certified yoga teacher through the Ananda Yoga community with additional training in Trauma-informed Yoga. In her practice teaching yoga, she believes in creating a space where practitioners of all levels can come to have an experience of higher self-awareness and deeper relaxation. Kayla has also studied Ayurveda, crystal healing and shamanic herbalism. A polarity session with Kayla will primarily focus on the body work aspect of polarity therapy. She may also utilize her training in Ayurveda, yoga, the healing arts, and psychiatric nursing to influence her sessions and recommendations for the client. Kris Shaw has 35 years of clinical practice working with individuals to tailor treatment for allergy desensitizing, acupressure, Trager, craniosacral and injury care massage. Kris is a seasoned detective for getting to the root of a broad spectrum of persistent injuries, insomnia challenges and desensitizing treatments to chemical, pollen & food allergies that throw your body off balance. She is credentialed with most insurance companies for both allergy & injury care acupuncture & massage. Kris is a unique and insightful healer and health educator with a nurturing earthiness, and a passion for empowering you in your health and well being. "Who you are being is much more important than what you are doing"
Lisa Shook is a Certified 5-PATH® Hypnotist and 7th Path Self-Hypnosis® Teacher and her mission is to spread the truth about hypnosis and how it is safe, natural and hypnosis works fast. She believes hypnosis should be the "go to" resolution for issues instead of a last hope because of the many benefits hypnosis provides. Lisa is a member of the National Guild of Hypnotists and a Registered Hypnotherapist with the State of Washington. Lisa is also a Reiki Master/Teacher and offers group classes for Reiki I & II, and Reiki III. Call for class schedules. Lisa is also experienced in Past Life Regressions. Lisa is a compassionate, professional who understands the importance of confidentiality. Marc Lainhart is an internationally distinguished, tested and British trained Psychic Spiritual Medium. Marc's work as a Radio Show Host, Hiking Guide, Certified Scuba Diver, Metaphysical Teacher, Holistic Healer, Inspirational Thought Leader, Certified Healthcare Provider, and Writer are to serve, heal, guide, teach, transform, and inspire others in connecting to spirit, self, and this wonderful world around us! With his own Near Death Experience (NDE) and several personal tragedies, Marc has spent the last several years deciphering and demystifying the sensational subject matter of death and dying, and now strives to help others from around the world tap into and flex their own intuitive muscles and awareness abilities. Mark is a mystic who recognized his intuitive, empathic, and humanitarian skills in his early years, and he’s always felt and witnessed the power of sound, image, spirituality, and interpersonal connection. These traits led him to working as a recording and touring musician, studying and producing artwork, being a longtime practitioner of meditation and yoga, and eventually becoming a licensed mental health counselor. His passion is the blending of science-based modalities of psychology with mysterious and powerful spiritual methods. Mark is the owner of Sol Catalyst Therapies, where he provides Psychospiritual Counsel from a holistic, integrative template that is focused toward clarity of functioning in psychological, somatic, emotional, creative, and expressive components of the self and soul. Mark joins as an ally with his clients, blending traditional talk-oriented therapy with visionary use of the Tarot, Chakra System, Yoga, Astrology, and Alchemy, to offer unique, individualized, and empowering tools as well as micro and macro perspectives of their cosmology, narratives, and journeys. He is currently directing his energies into learning the practice of Reiki, writing articles, speaking publicly as an interviewee and co-host of podcasts, and is in the process of structuring and writing content for healing, paradigm shifting workshops and courses he will offer in the near future. "Whenever there is enthusiasm, there is a creative empowerment that goes far beyond what a mere person is capable of." Pamela Malcolm has over twenty years of experience envisioning, designing, and collaborating to deploy large-scale transformation in a fortune 500 company. Her journey has led her to help individuals do the same through shifting their mindset towards money and building strategic financial independence plans. She has great passion towards helping other’s achieve their full potential through vision and design. Pamela is also a Reiki practitioner. She believes Reiki played a critical role to help release blocked energy which had held her back for many years. She has recently experienced multiple breakthroughs which have led to major transformation in her own life. Pamela currently offers Reiki sessions and Early Retirement/Financial Independence consultations and will soon be offering more in-depth money coaching services. SiriOM has had the privilege of teaching for almost 15 years, and loves that the learning never ends. She also has a background in Eating Psychology, and Art Therapy, and will often combine these wisdoms with her yoga teaching. SiriOM has taught in schools, prisons and homeless shelters, as she sincerely believes that Kundalini Yoga can support ALL people to be their Highest Self, no matter where they find themselves in life. She especially loves the healing power of the powerful breath work and beautiful chanting in each class which connects us to the Divine Flow in all things. My purpose is to anchor the Divine Feminine and create healing spaces for the heart. I love supporting and nurturing Spiritual leaders, especially all those at Inner Alchemy who are such amazing healers. Classes and workshops: I do private sessions, home clearings, and support groups. I teach classes on "Opening Your Heart to Love" and "Vision Boards of the Heart". Also workshops co-lead with Rick Gage on "Connecting the Masculine and Feminine Within". Rick Gage is a seasoned SoulPrint Coach. As a leadership coach, mentor and a catalyst, Rick is an architect builder of culture and community. He is called to be a vital support to cultural and spiritual revolutionaries like the tribe at Inner Alchemy. Rick coaches both individuals and groups, guiding them through the SoulPrint discovery process that he has developed to deepen your understanding of your unique genius and calling in the world. “I had trust issues with any being that didn’t walk on 4-legs, fly, or slither and I was happy to keep it that way”. Then through his work with the Mankind Project over the last 10 years he had spiritual awakening. Until this time he did not consider himself a spiritual or religious person but during this period he underwent what he now relates to as a period of initiation -- rapid and intense spiritual experiences that forever transformed his psychological and emotional connection to and understanding of reality. He is now passionate about sharing the tremendous capacity for change, personal evolution and spiritual growth that shamanism offers. For the last several years he embarked on a quest to unearth the meaning of these experiences and how best to work it into a practice. His experience facilitating Men’s Work and Drum Circles have opened up new understandings and the needs for humans to connect and have conversations about skills and knowledge they may not fully understand or know what to do with. Stephen's offerings include: Power Animals and Spirit Guide Workshops, Community Building and Collaboration, Drum Circle facilitation, Altar Building and Smudging Workshop. Tami Bensen is a natural born Medium who grew up in the Angeles National Forest until the age of 8. She is an Intuitive Artist who combines her psychic gifts with her own unique soul's calling. Intuitive art as she describes it, is the process of letting go of self judgment to truly trust yourself. Although she mainly works in painting and sculpture, she does not place limits on soul expressions. Being an actual Medium herself Tami draws intuitively from all artistic mediums, this freedom of creation is where she is most joyful. She has used art as a tool to reconnect to her own true self; this helped to awaken her intuition and self confidence. Tami has designed a simple and powerful process to help you navigate your own journey. She joyfully guides private and group Intuitive art sessions here at Inner Alchemy. Art should not be reserved only for those who call themselves Artist’s. Every soul in the universe deserves the freedom of expression, and the opportunity to feel limitless.